Is it evil not to be sure? 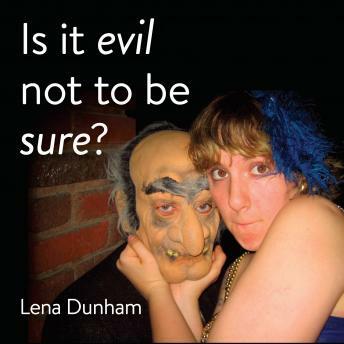 is a collection of entries from Lena Dunham's diary--or what she called her 'Creative Snippets and Observations Journal'--from the fall of 2005 and the spring of 2006. It is a candid, chaotic, and occasionally poetic snapshot of a young person becoming an adult.